Cary homes for sale, listed by neighborhood. There are over 300 Cary Neighborhoods and that number is increasing all the time! 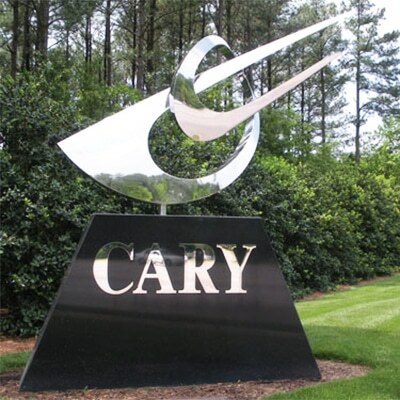 Cary has expanded rapidly since the early 1980’s and has now run out of space in Wake County. They are now building neighborhoods which are in the town of Cary but in Chatham county. If you are trying to find Cary homes for sale to be in the Wake County School System this is something you need to be aware of. If the neighborhood that you are interested in is not listed below or you are looking for a home outside a neighborhood go to the Cary Home Search page. Only ‘Active’ homes are listed on the neighborhood pages, i.e. homes that are actually available to buy. Other sites will show homes that are ‘Contingent’ of ‘Pending’, this is done to pad out the site. If you are interested in Contingent or Pending homes they can be found on the Map Search towards the bottom of the neighborhood page along with Active listings. You may also want to check out Morrisville Homes for Sale, Apex Homes for Sale, Holly Springs Homes for Sale, Fuquay-Varina Homes for Sale and Raleigh Homes for Sale. See also Cary Housing Metrics, Cary Page, and if you want a basement home, condo, loft, first floor master, green home (and many more) go to the Specialty Search Page.